Morocco lower house endorses return to African Union - The Maghreb Times ! The lower house Moroccan parliament Wednesday unanimously voted to allow the country’s return to the African Union, following a hiatus of 33 years. 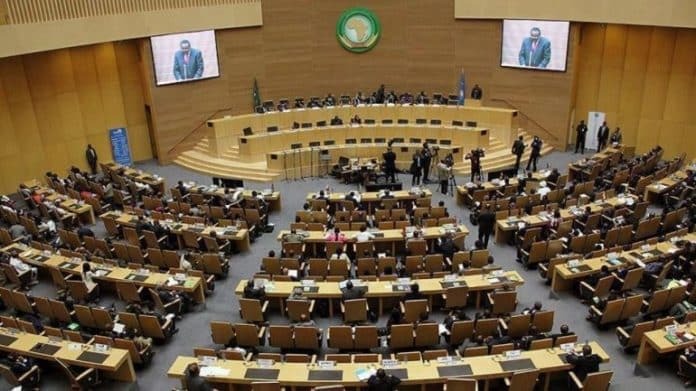 RABAT, Morocco: The lower house Moroccan parliament Wednesday unanimously voted to allow the country’s return to the African Union, following a hiatus of 33 years. The House of Representatives adopted the bill to approve the reintegration with 395 votes in favor, with all MPs present. The upper House of Advisors is expected Thursday to vote on the bill, which will return to the lower house Friday for a final approval. Speaking at Wednesday’s parliament session, Moroccan Foreign Minister Salaheddine Mezouar said the constitutive act would provide necessary procedures to reintegrate the African Union. King Hassan II, father of incumbent King Mohammed IV, withdrew from what was the Organization of African Unity (OAU) in 1984 after it inaugurated self-proclaimed Sahrawi Arab Democratic Republic as a member. Western Sahara, a territory in southern Morocco, was a Spanish colony until 1975. It has been disputed by Morocco and the Polisario Front backed by Algeria. After many years of conflict, a cease-fire was signed in 1991 between the two parties under the auspices of the United Nations, which maintain a field mission that was mandated to organize a self-determination referendum. Last July, Morocco expressed interest in rejoining the regional bloc. “For a long time, our friends have been asking us to return to them, so that Morocco should take its natural place within its institutional family. That time has arrived,” King Mohammed VI said at the time. He also called on the organization to correct a “historic mistake” and adopt a “constructive neutrality” on the Sahara issue.